Losing several billion dollars, even when you’re the fifth richest guy on the planet, still has to sting. That’s where Facebook CEO Mark Zuckerberg finds himself today, with the social network’s stock dropping 19 percent in early morning trading on Thursday, following its uninspiring second-quarter earnings report. The stock’s dive has shaved $15 billion off of Zuckerberg’s net worth. The Facebook’s co-founder is the company’s largest shareholder, owning nearly 13 percent of its outstanding shares. 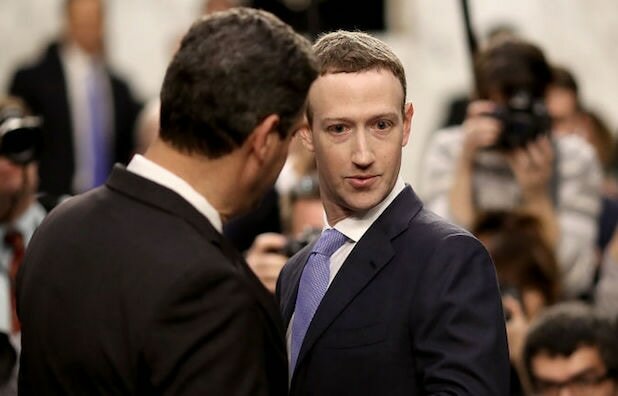 Zuckerberg had been one of the top five richest people in the world before Facebook’s stock slid, with a fortune worth more than $80 billion, according to Forbes. Facebook missed on Wall Street’s revenue projections for the first time in 13 quarters. It also reported less-than-expected daily and monthly active users. Shares were already down about 9 percent yesterday afternoon following the release of Facebook’s financials but went nosedived after CFO David Wehner said the company was looking at slower revenue growth in the quarters ahead. Facebook’s decline on Thursday has cut about $120 billion off its market cap. 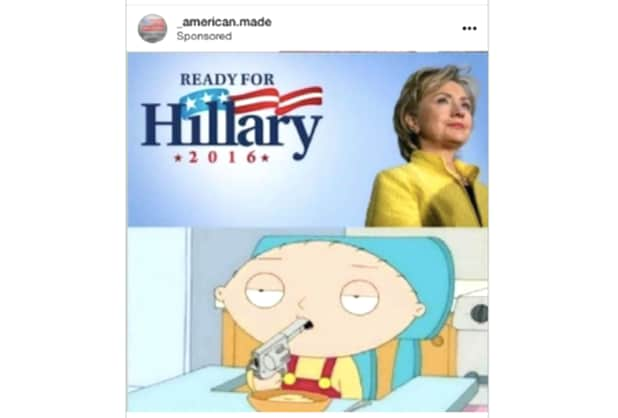 The U.S. House Intelligence Committee on Thursday released more than 3,500 advertisements and posts spread by Russian trolls before and after the 2016 U.S. election. Below is a look at 10 of the most shocking examples that stood out from Congress's reveal. Only "sissies" and other undesirables wouldn't support Donald Trump, many of the memes said. President Obama was a "pawn" and "traitor" in the hands of "Arabian Sheikhs," said one 2016 ad. The "Black Matters US" page touched on hot button issues like police shootings. The "Army of Jesus" page shared a bible verse, along with this meme. The "Blacktivist" page routinely shared memes on Colin Kaepernick and other football players kneeling during the national anthem. "Heart of Texas" routinely posted on "Killary Rotten Clinton," and threatened to secede from the union if she won the election. The "Being Patriotic" page labeled ex-cons as "Obama voters."